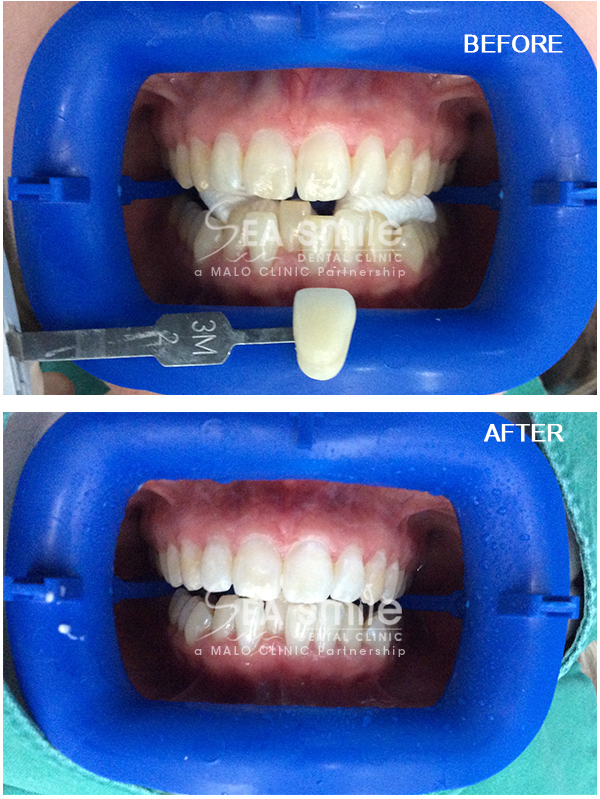 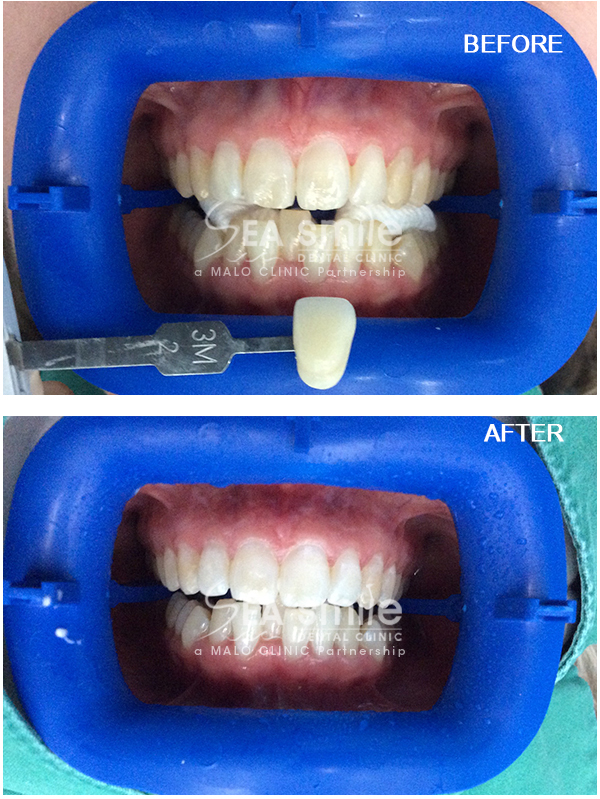 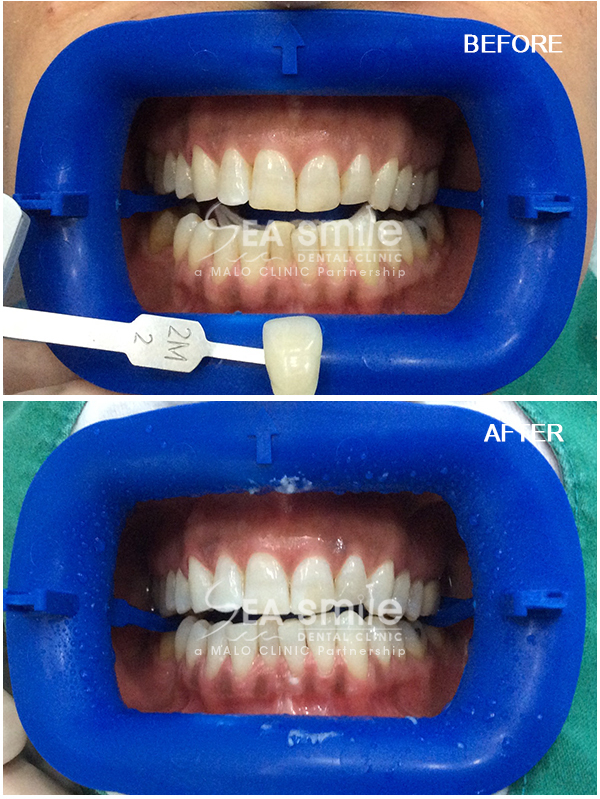 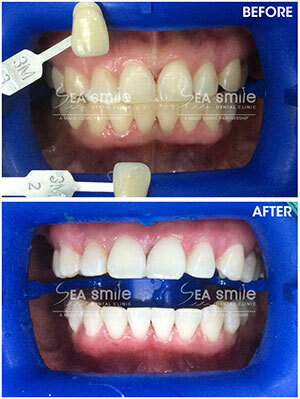 The Laser whitening has achieved better results than any other whitening procedure. 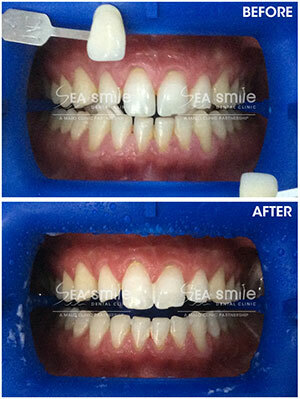 Recent independent studies confirm that laser whitening has yielded results of 6-13 shades brighter. 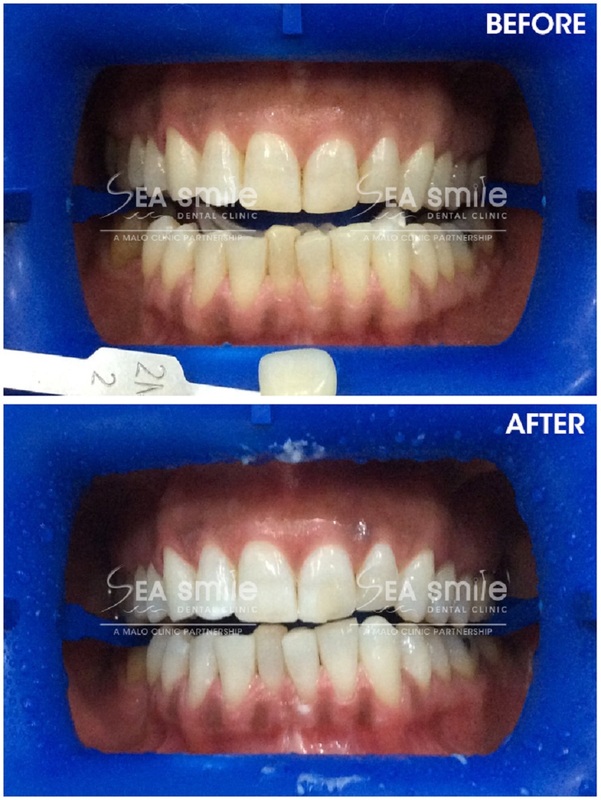 The long-term effect of the treatment varies from one person to another. 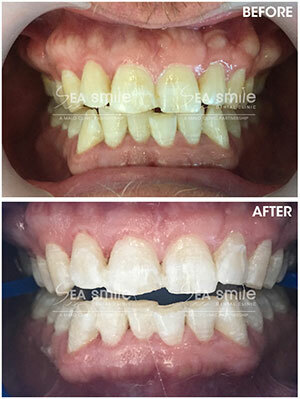 Certain habits such as smoking, drinking coffee, tea and wine, or neglecting of regular cleansing could once again quicken the darkening process of the teeth. 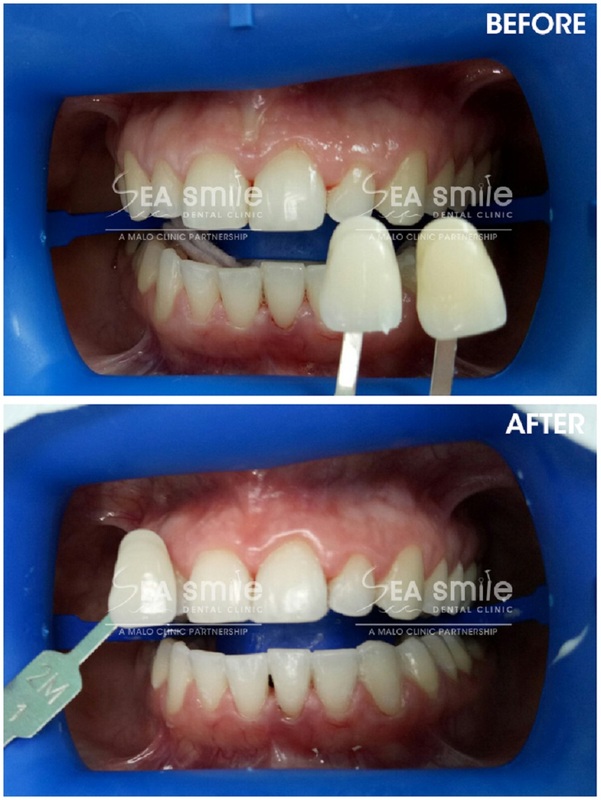 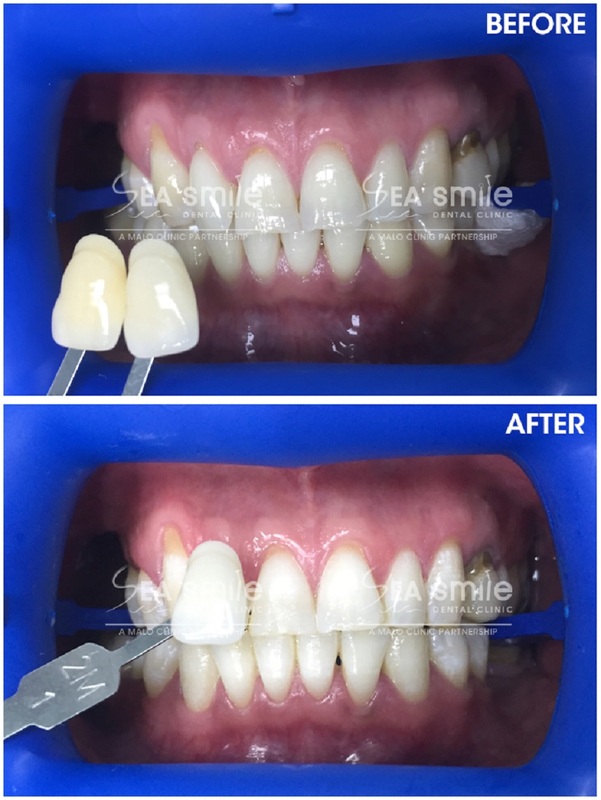 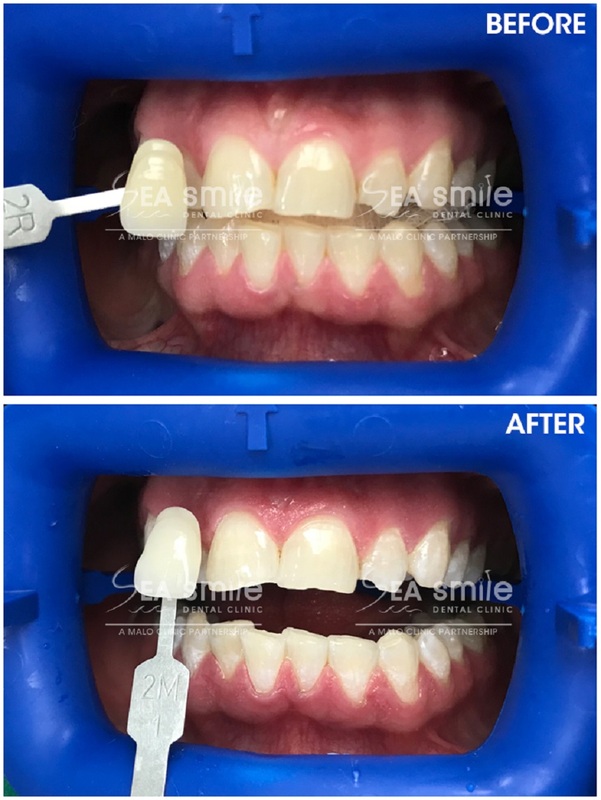 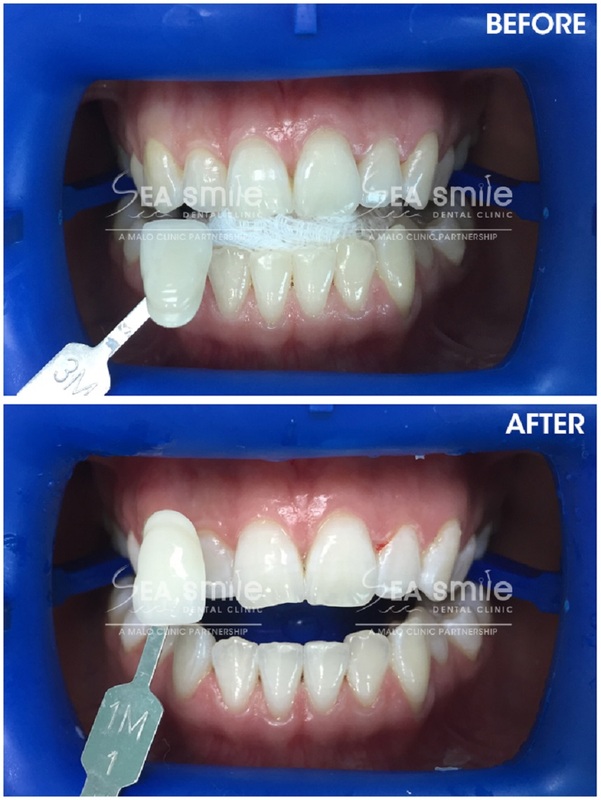 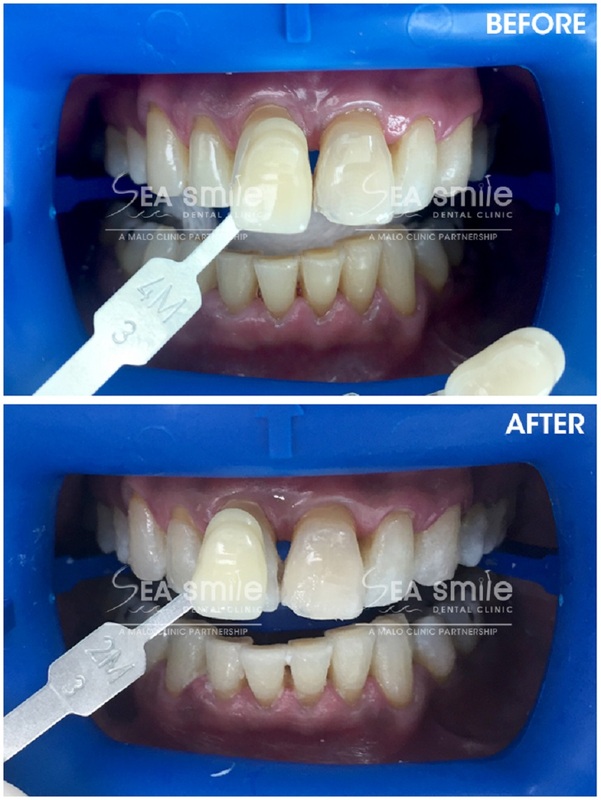 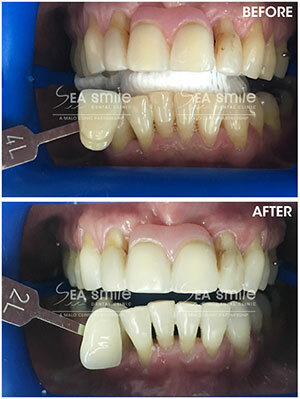 Laser whitening the stained enamel surface does not cause overheating of the teeth, thus there is no damage to the teeth. 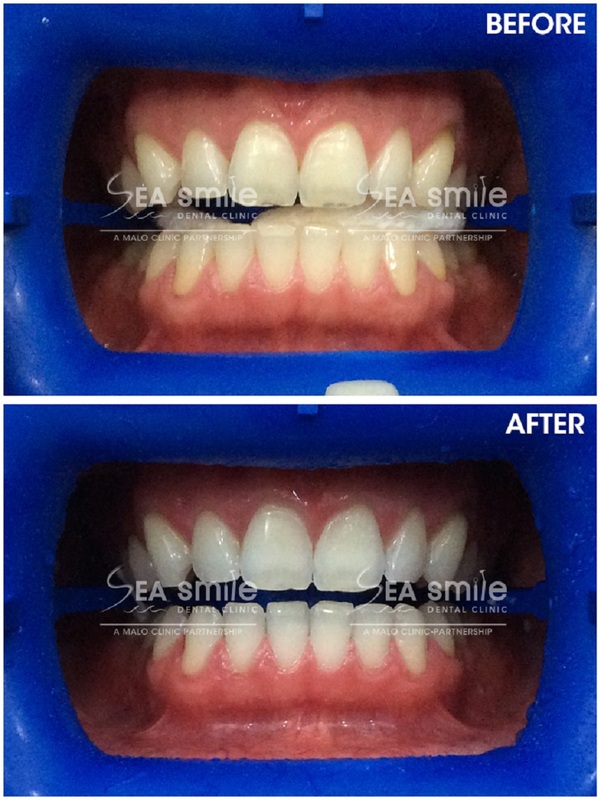 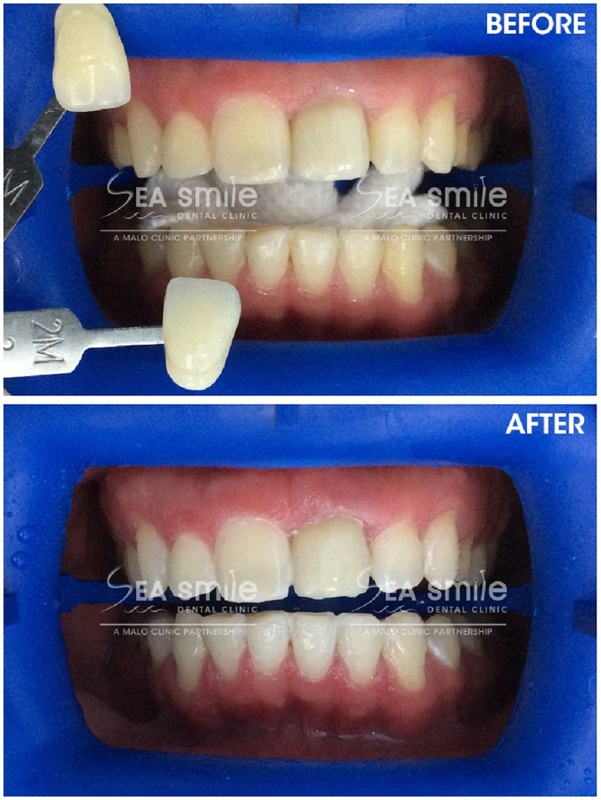 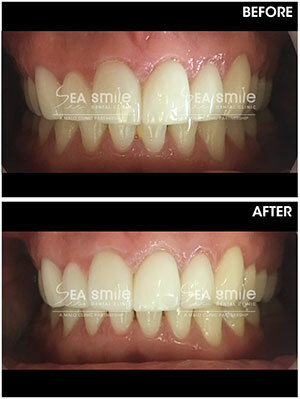 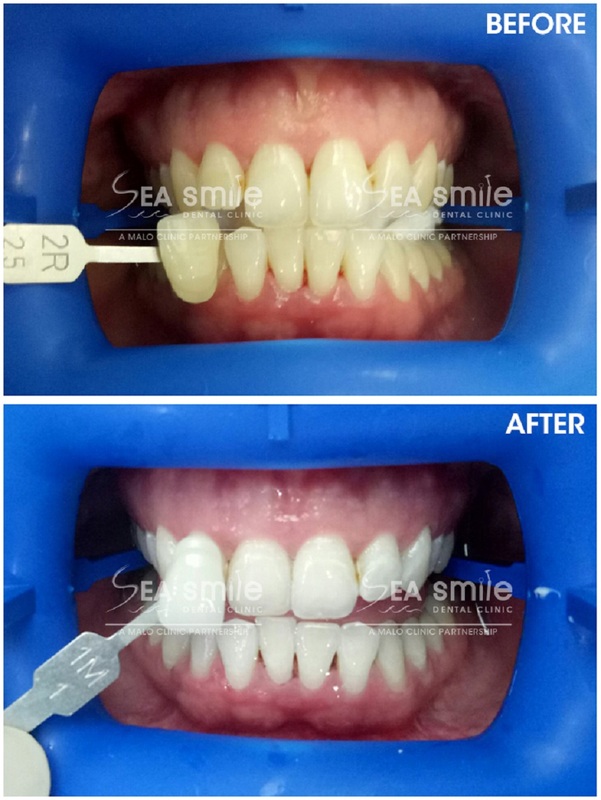 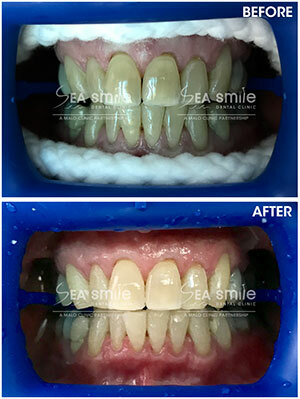 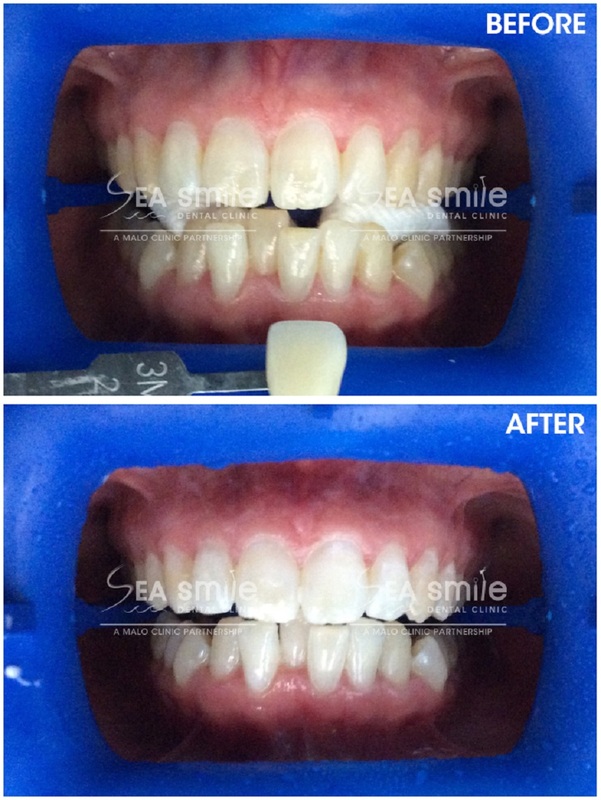 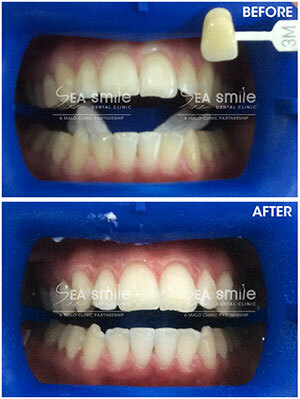 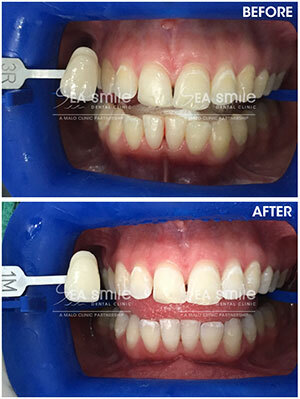 There are no negative side effects to laser whitening your teeth. 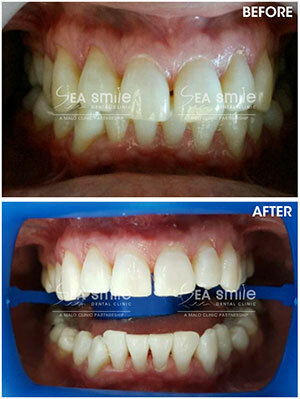 Since the treatment is pain-free, no anesthesia is required. 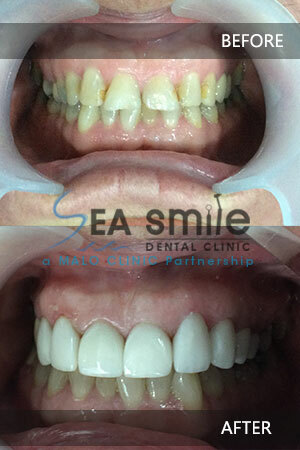 The laser tooth whitening treatment is completed within one visit that will last less than an hour. 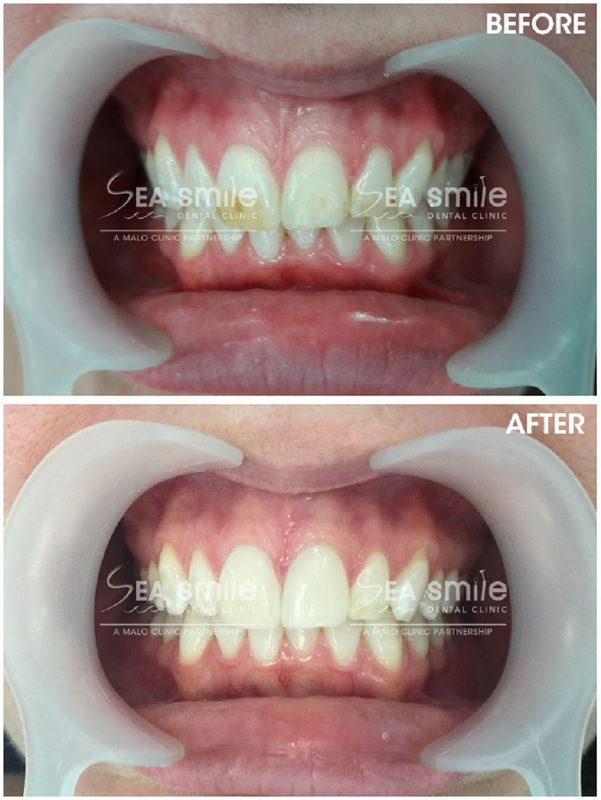 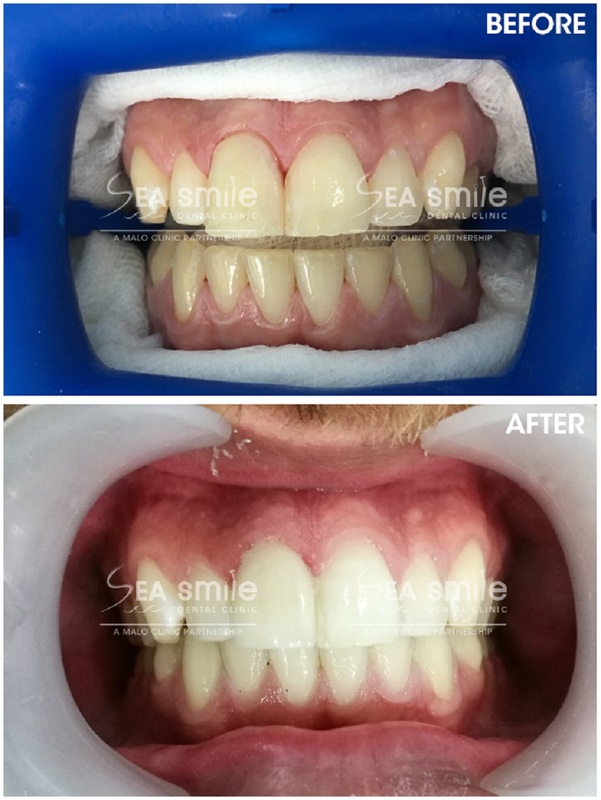 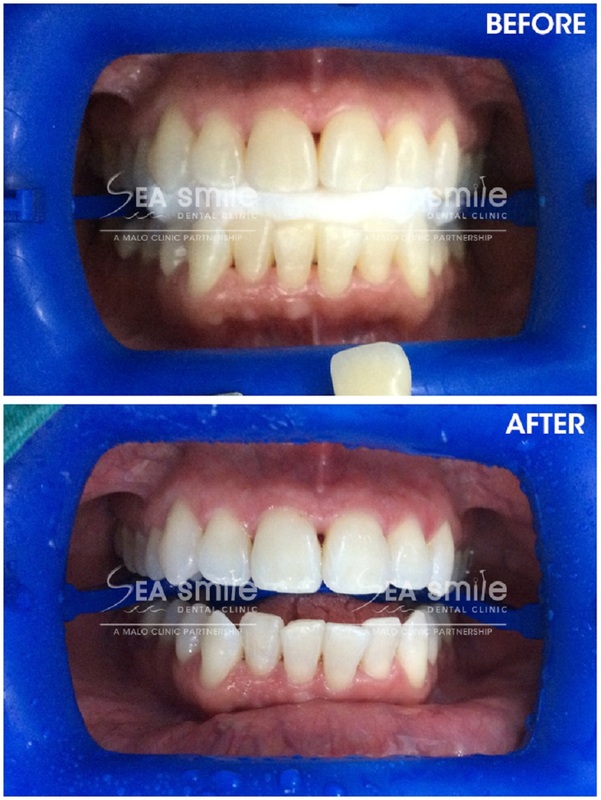 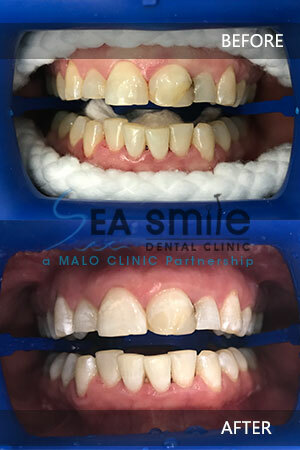 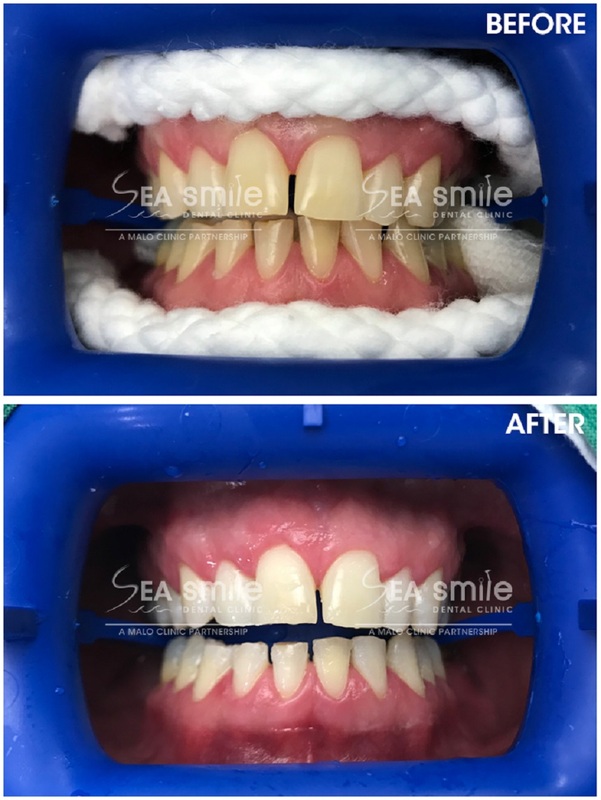 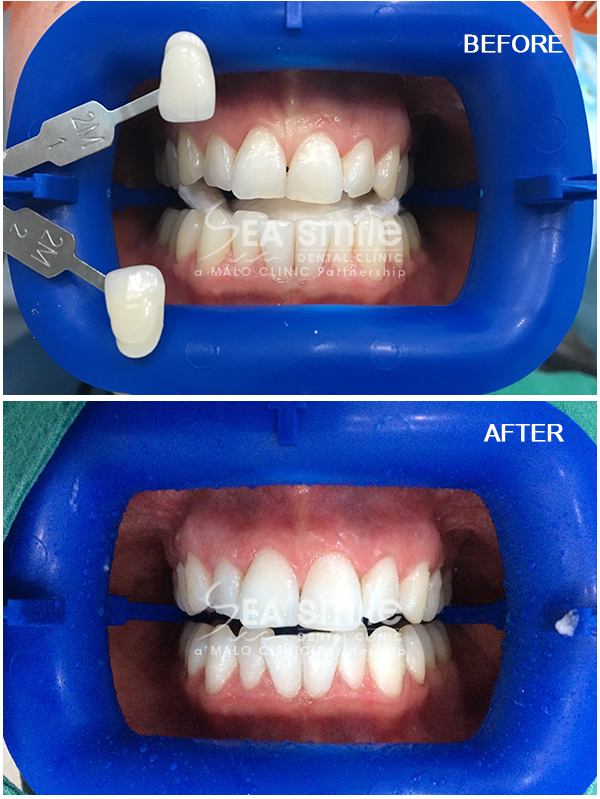 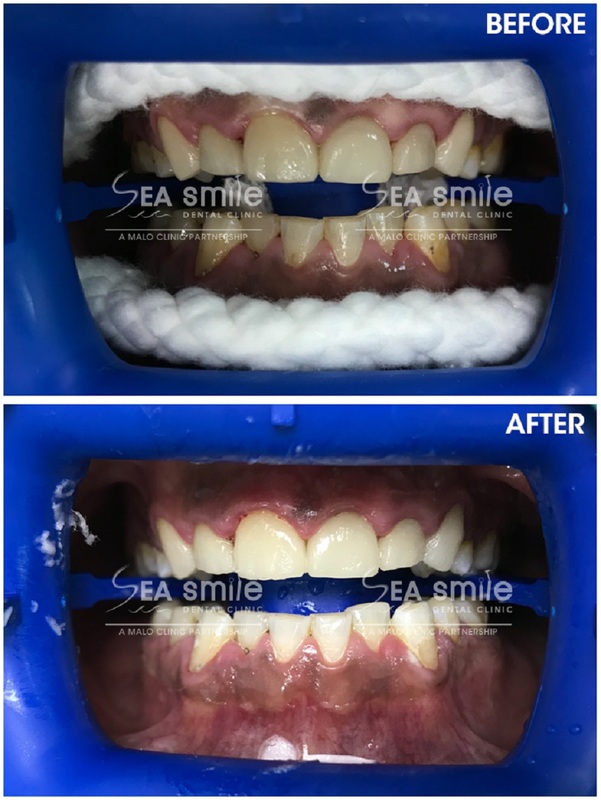 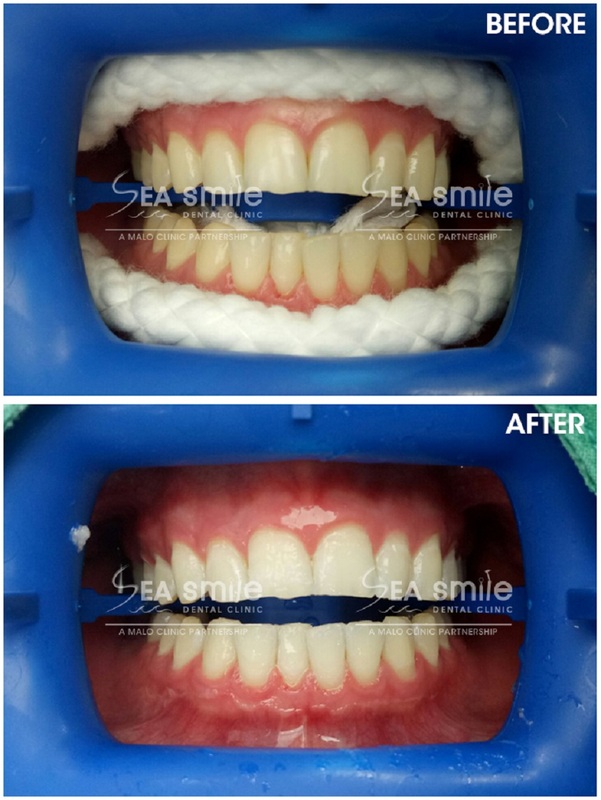 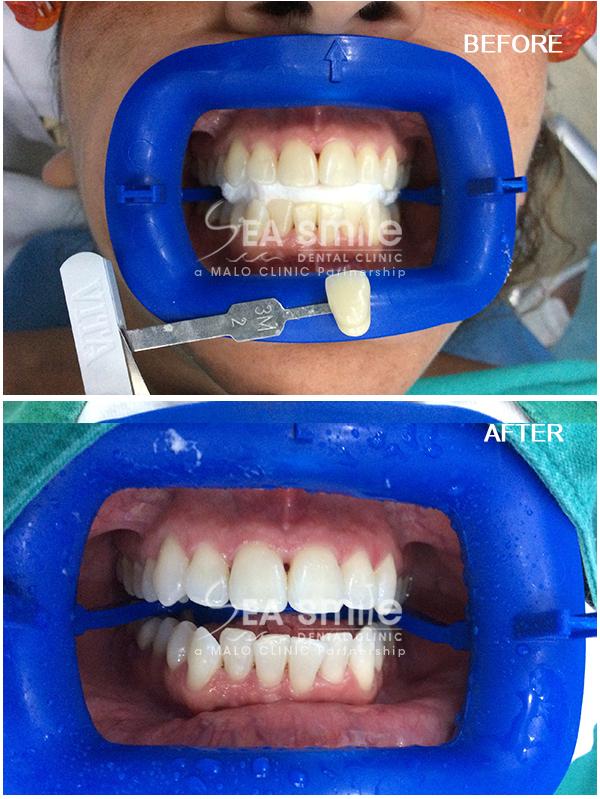 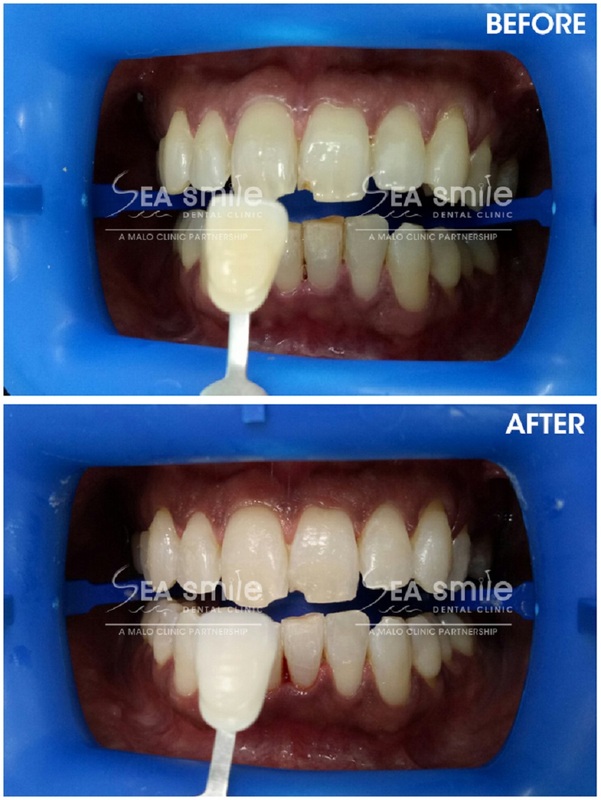 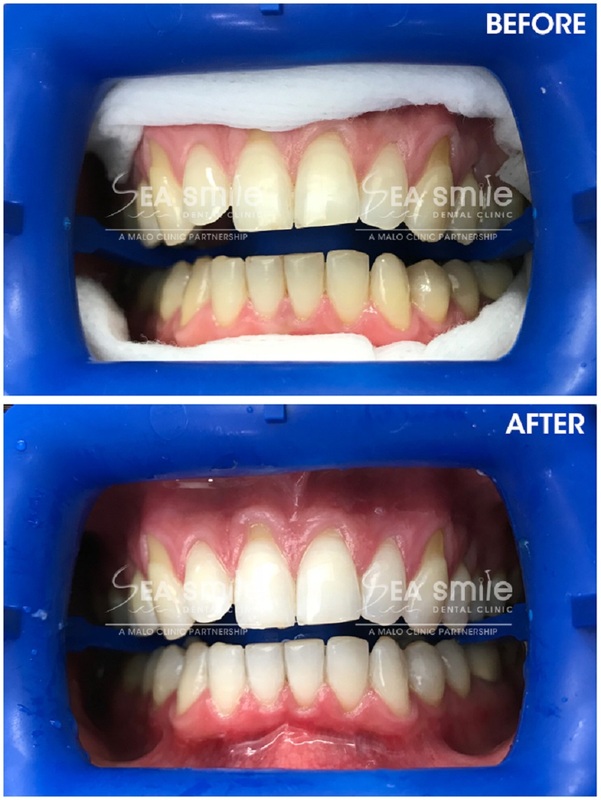 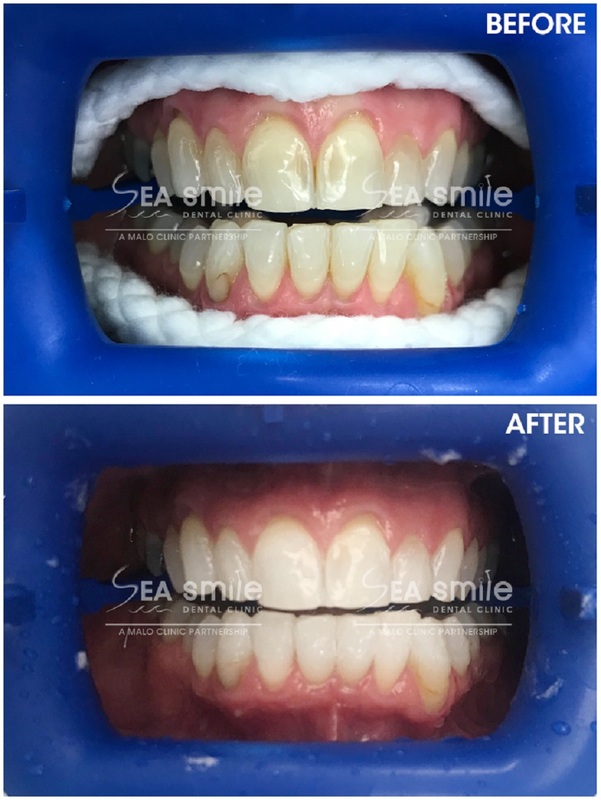 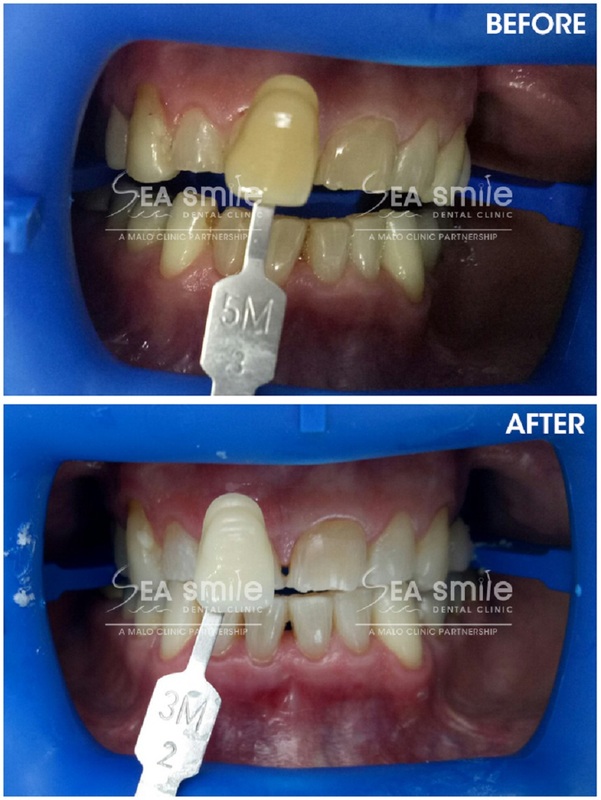 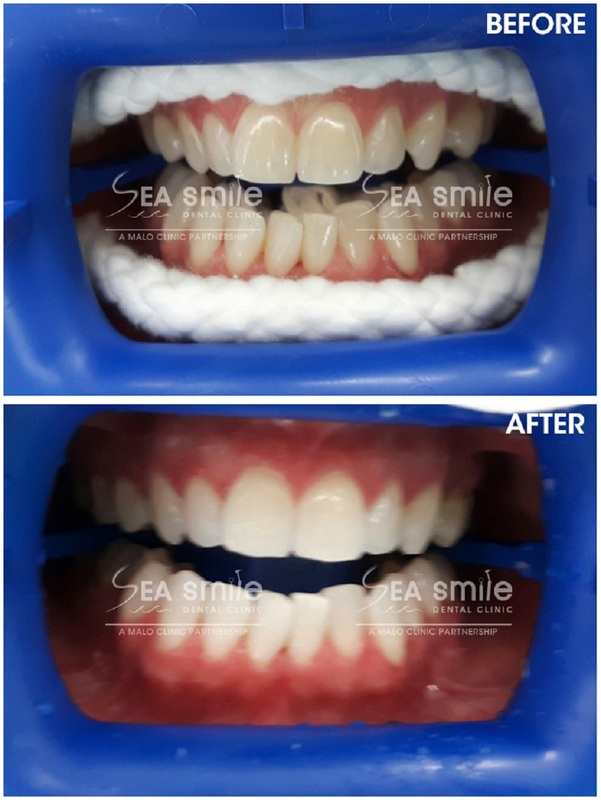 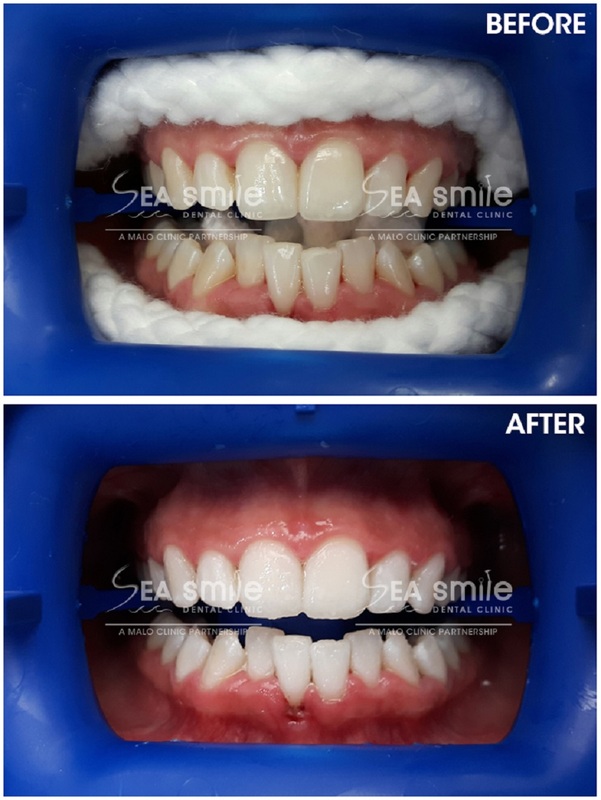 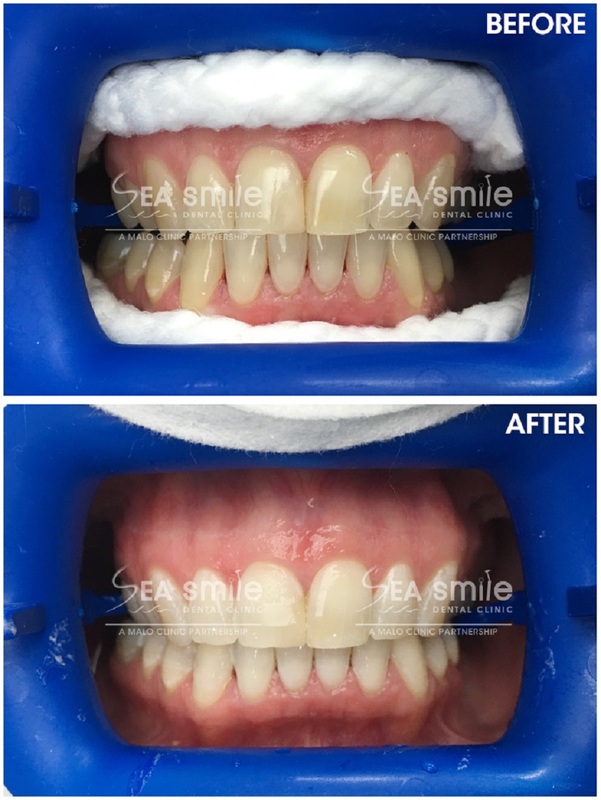 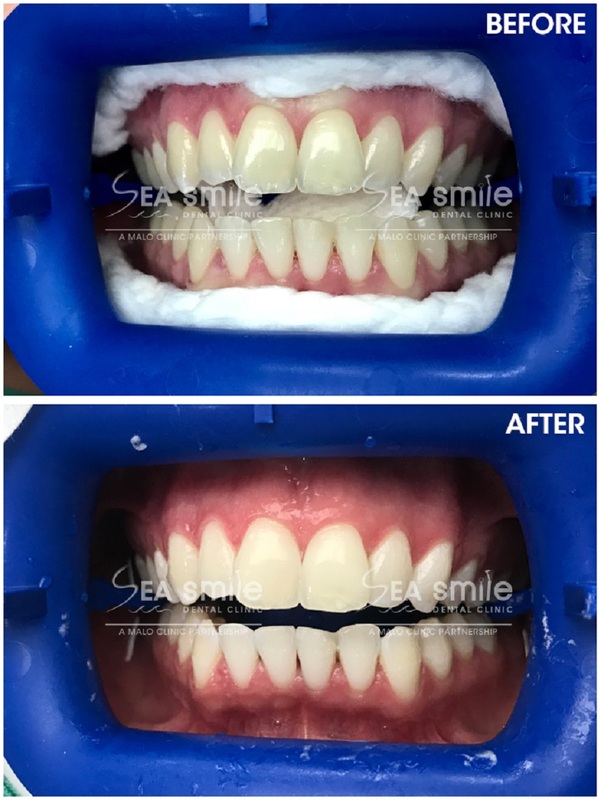 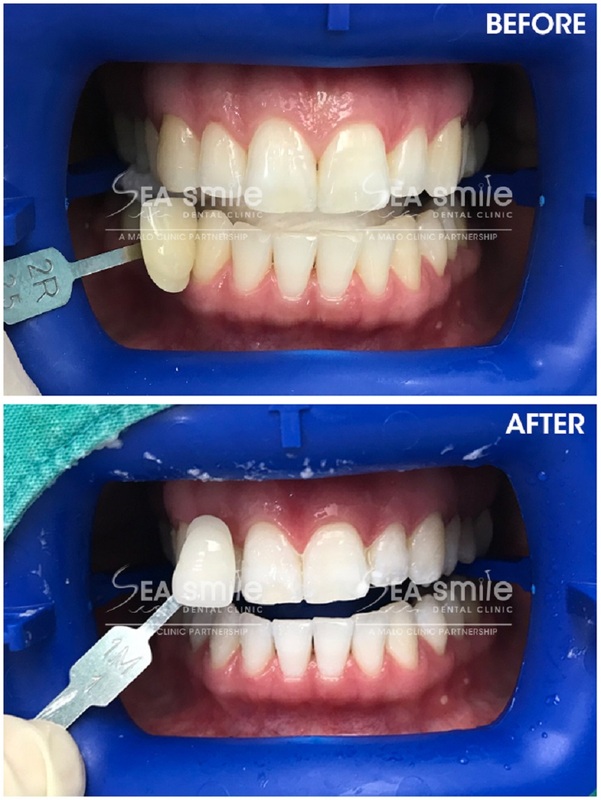 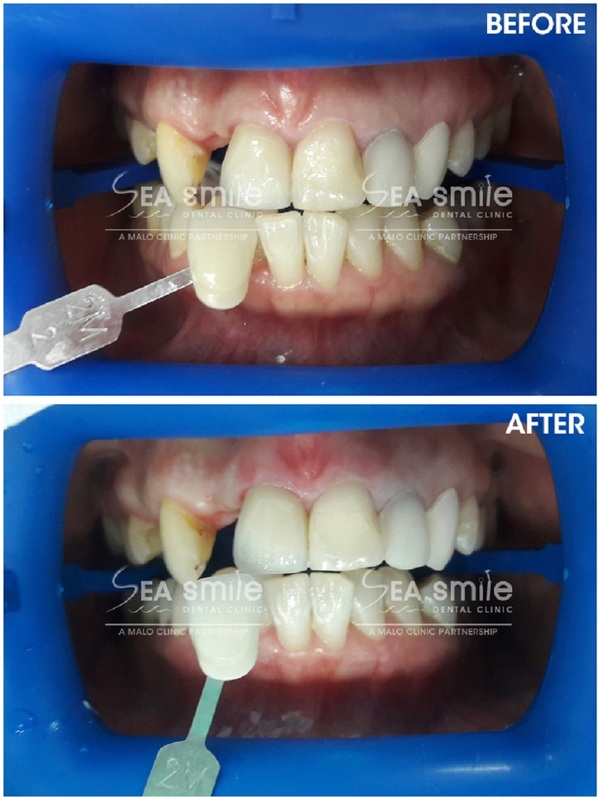 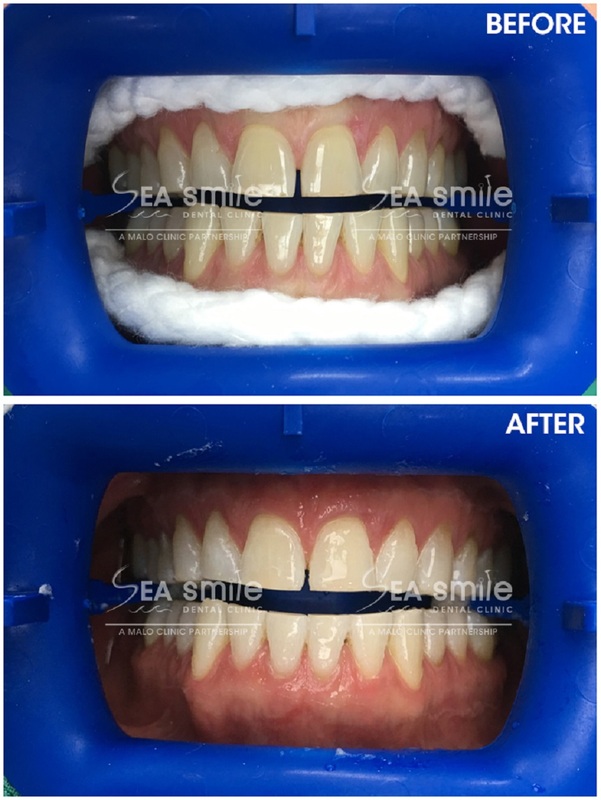 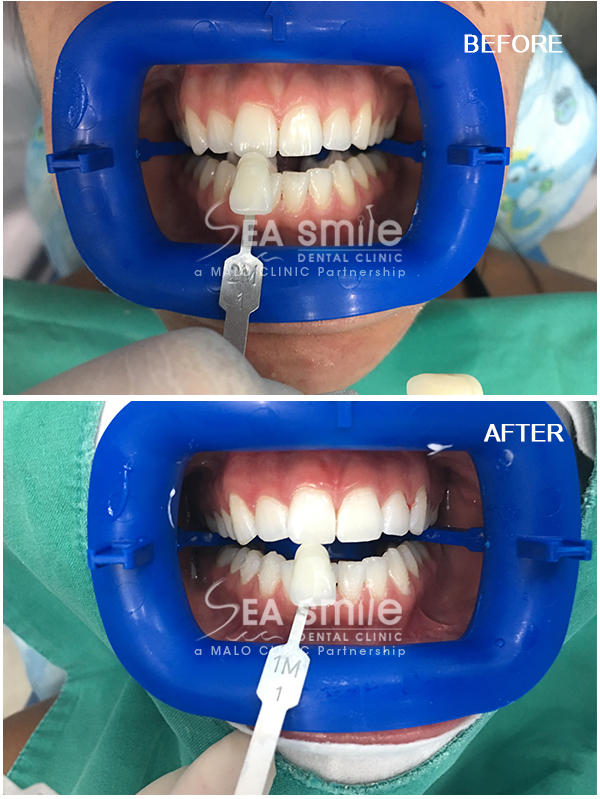 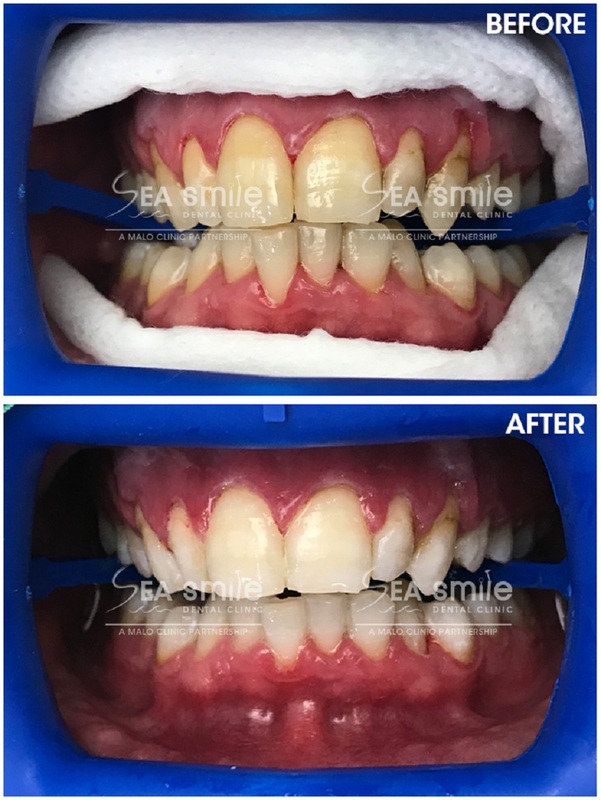 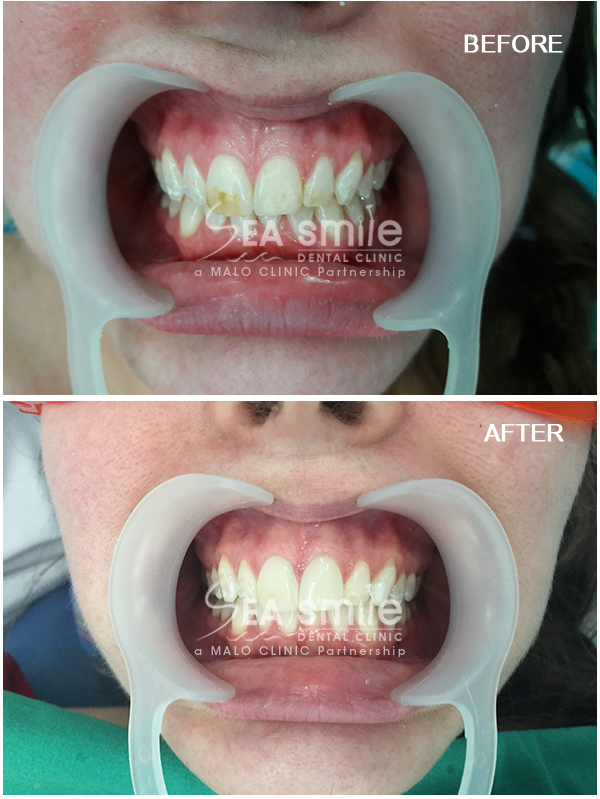 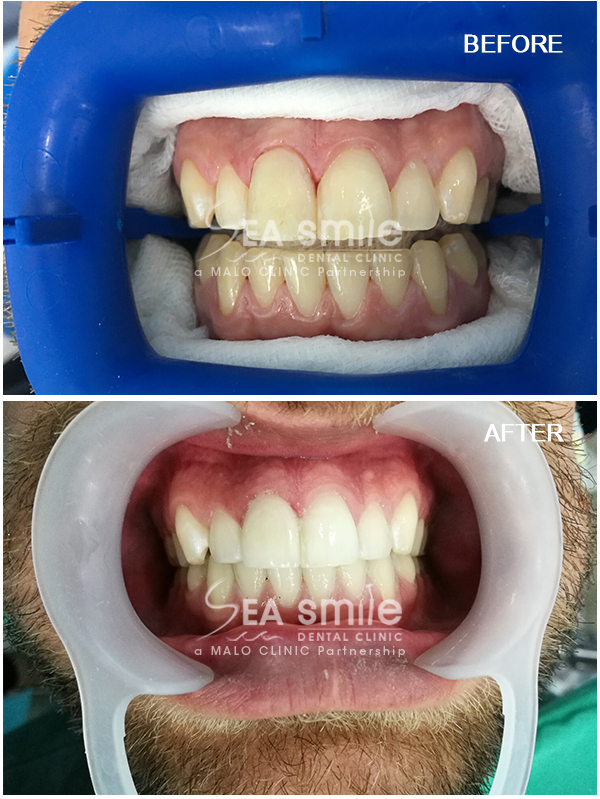 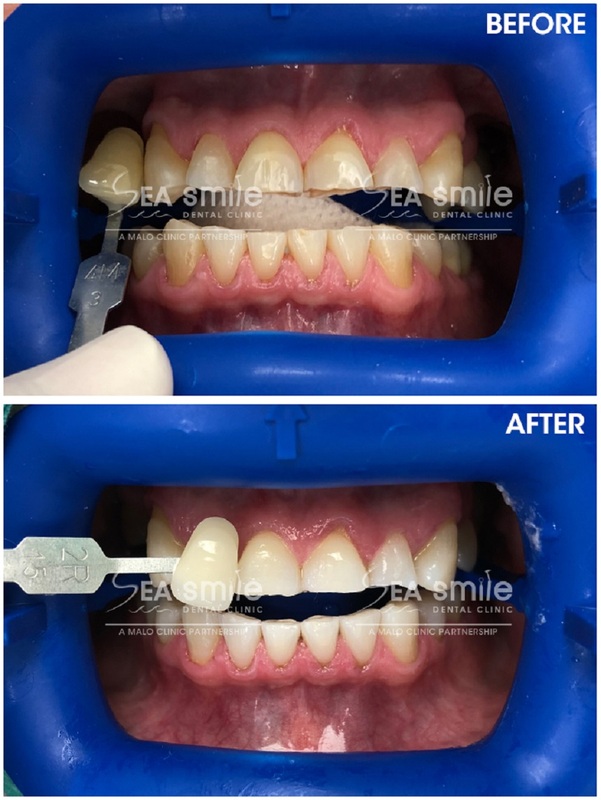 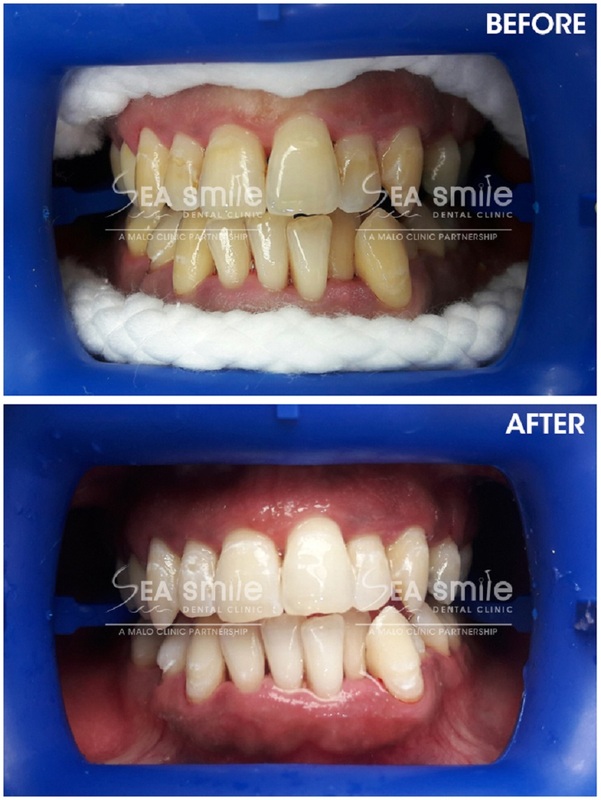 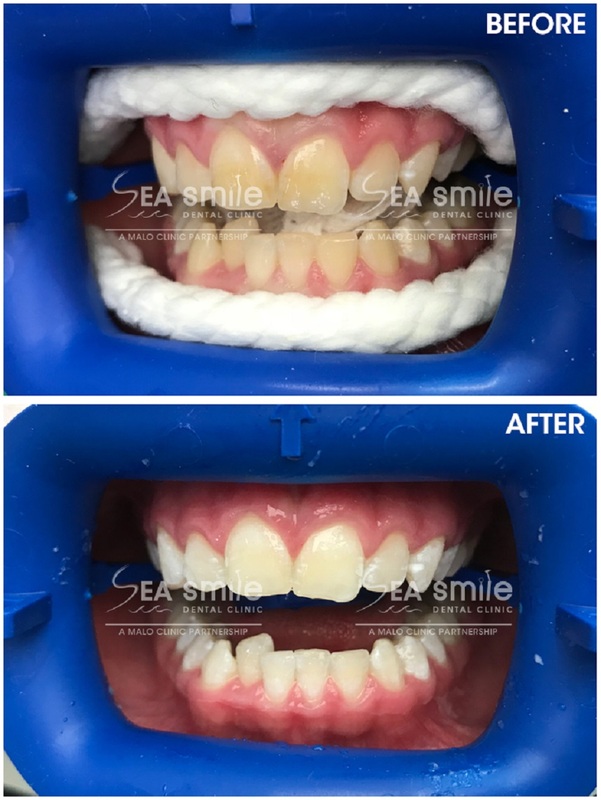 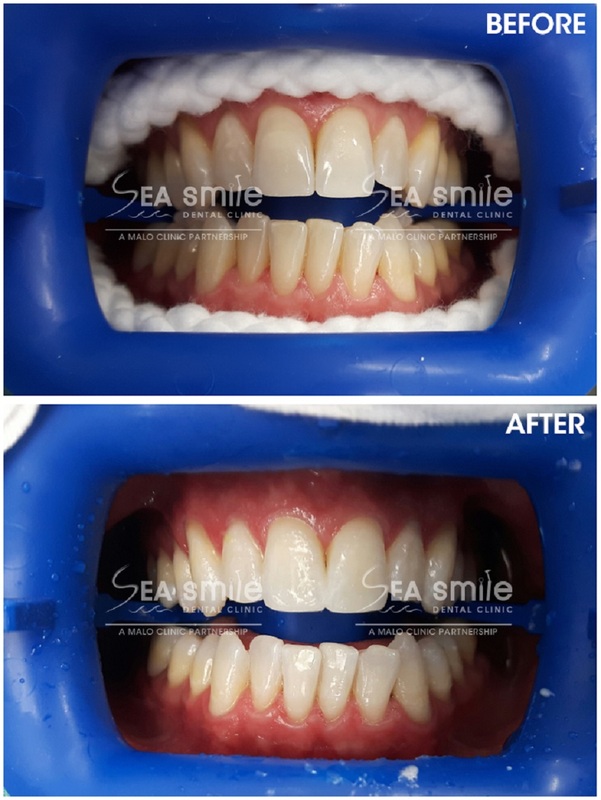 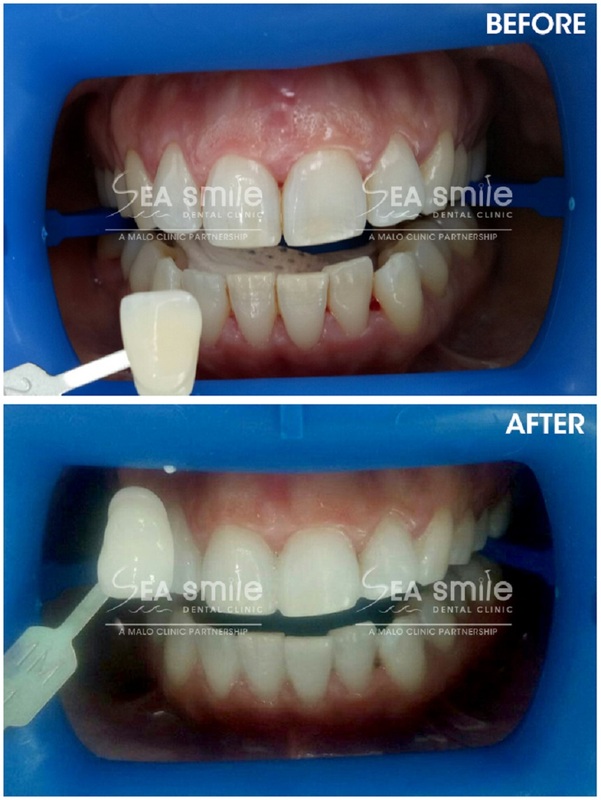 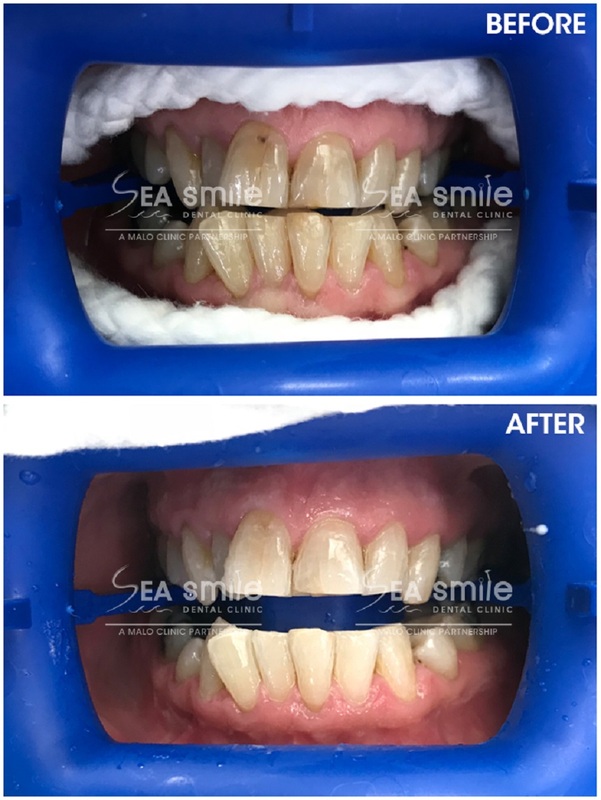 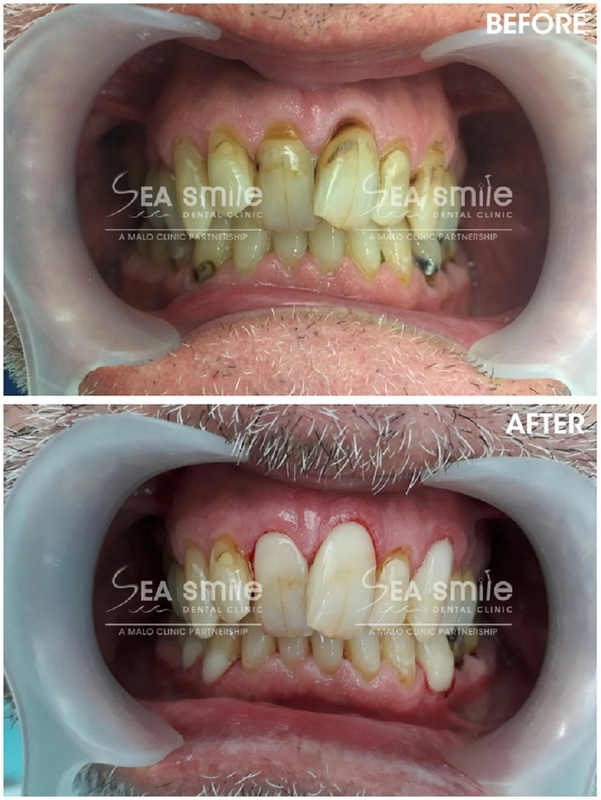 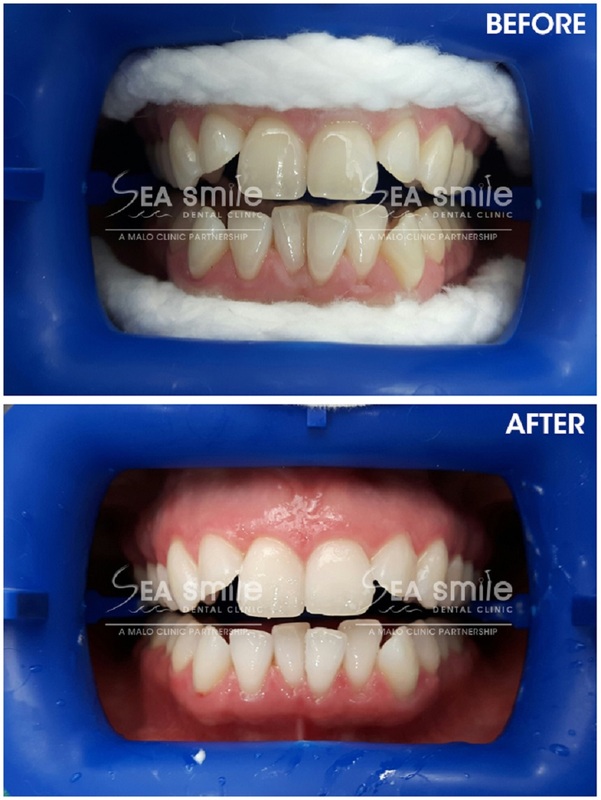 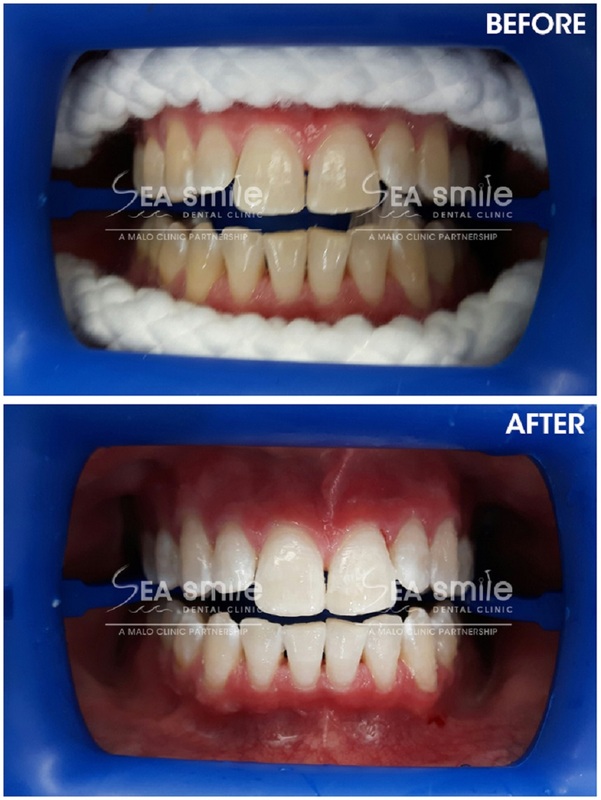 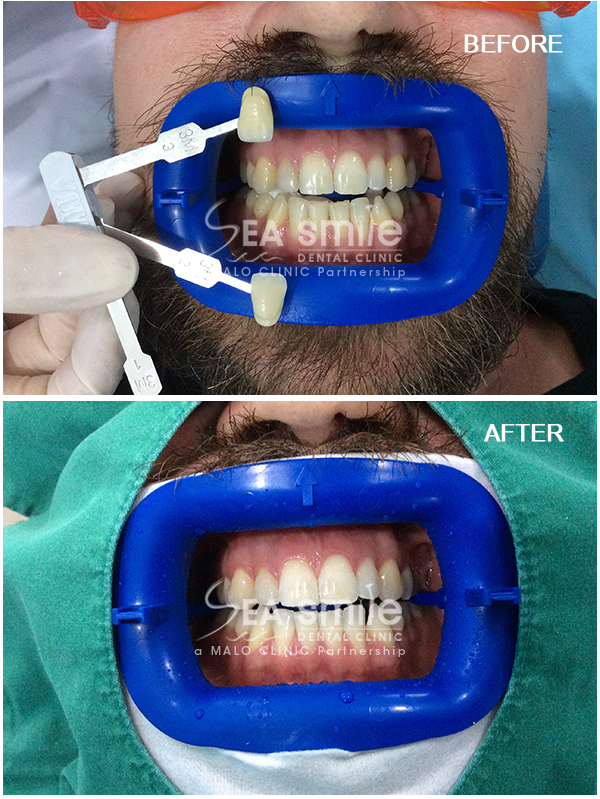 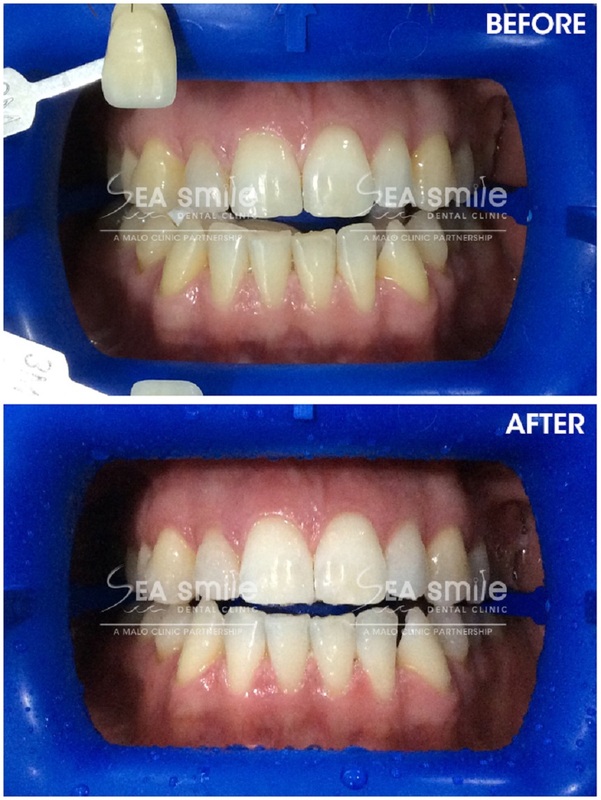 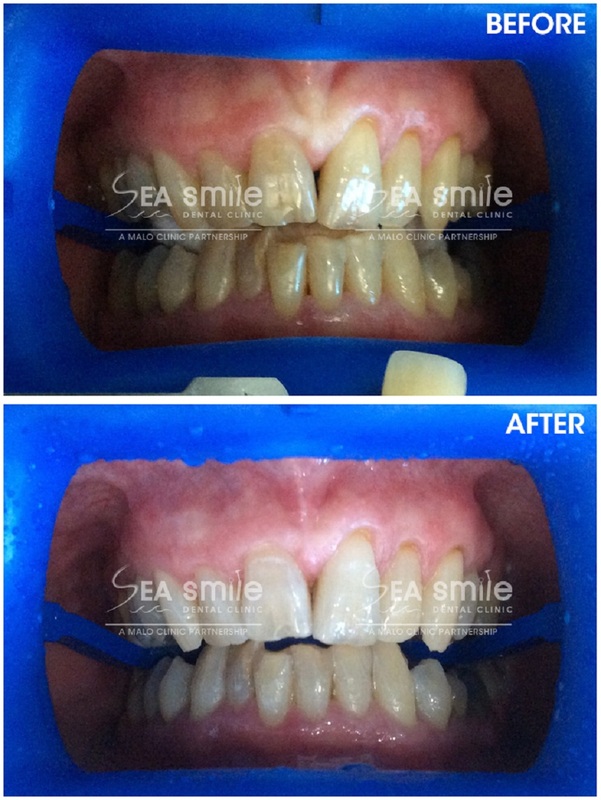 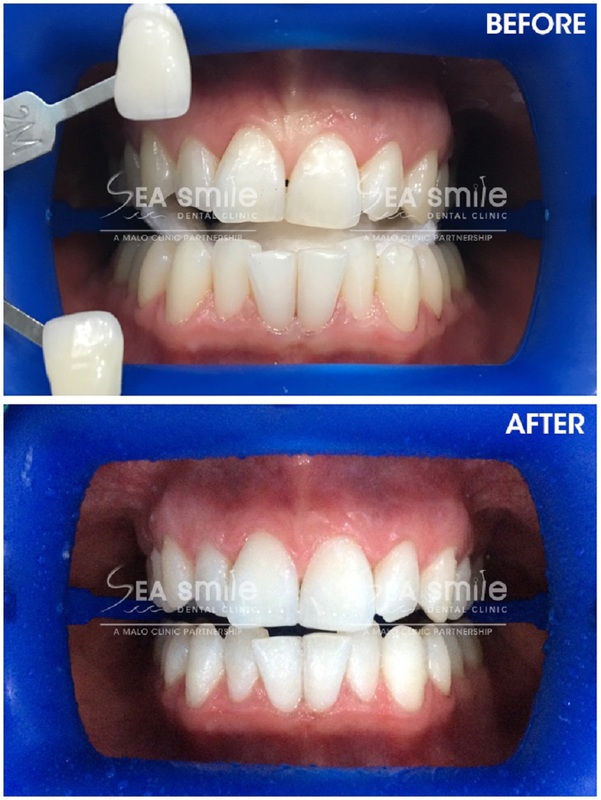 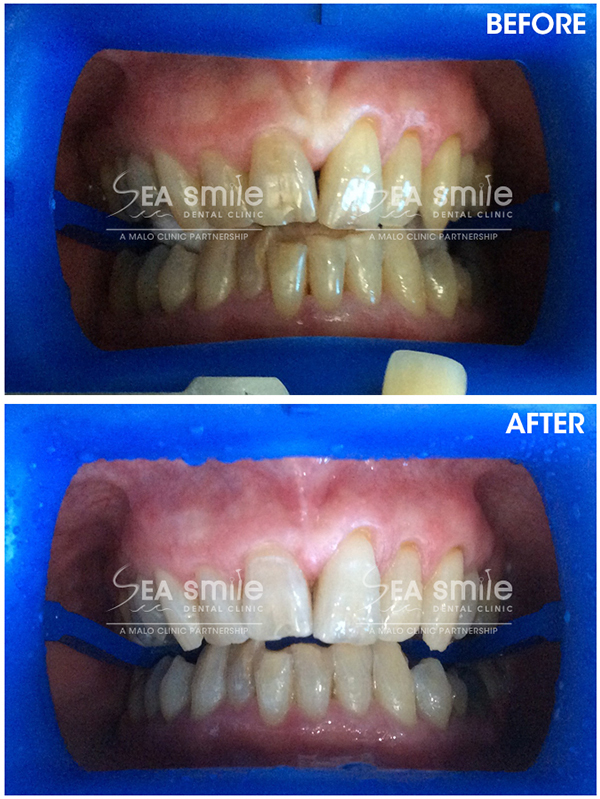 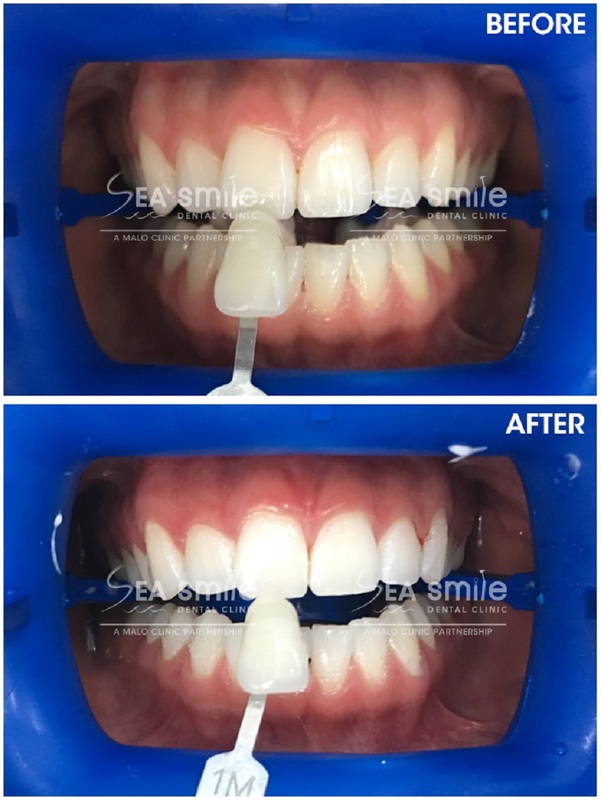 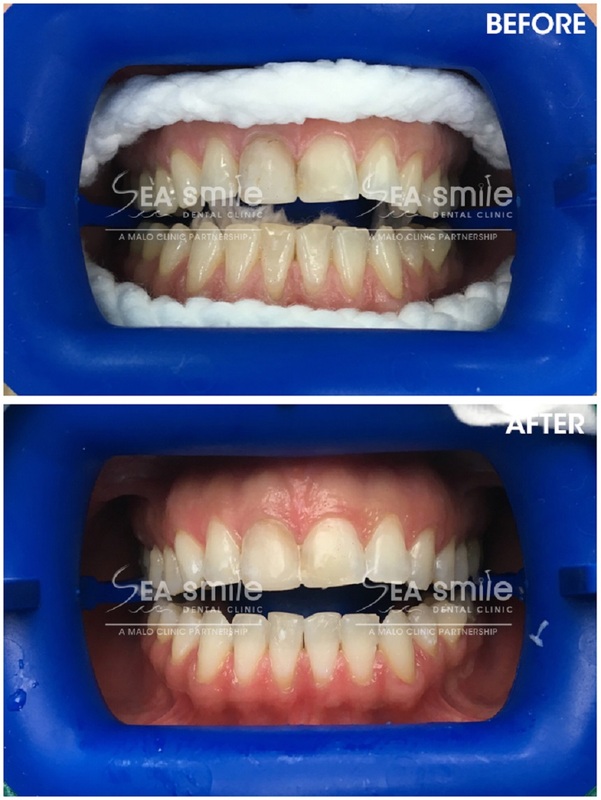 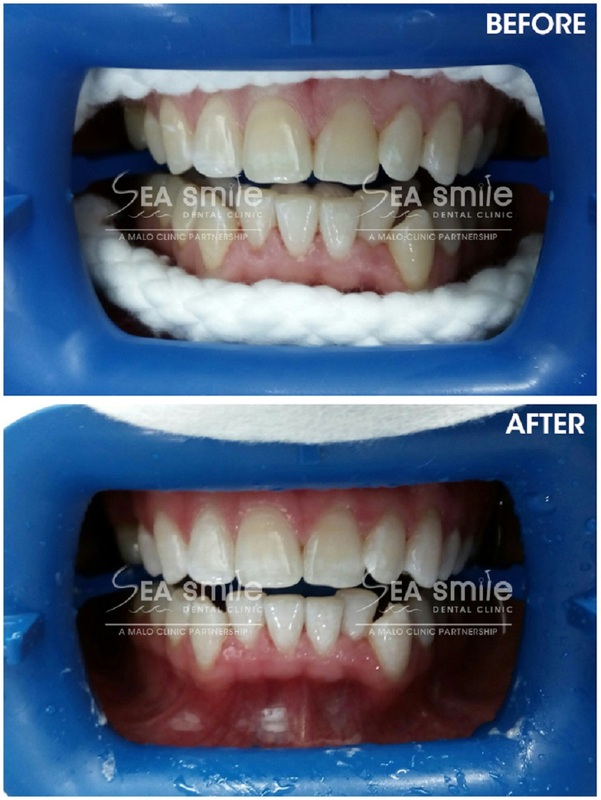 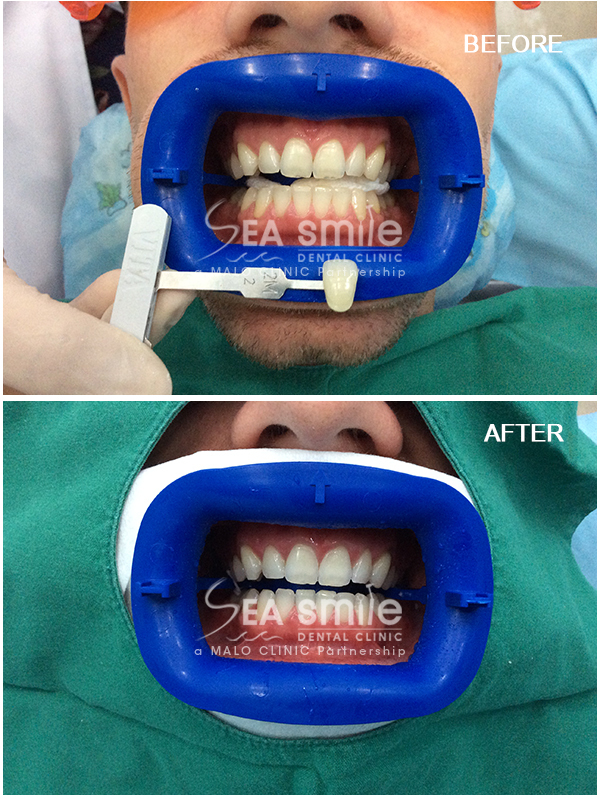 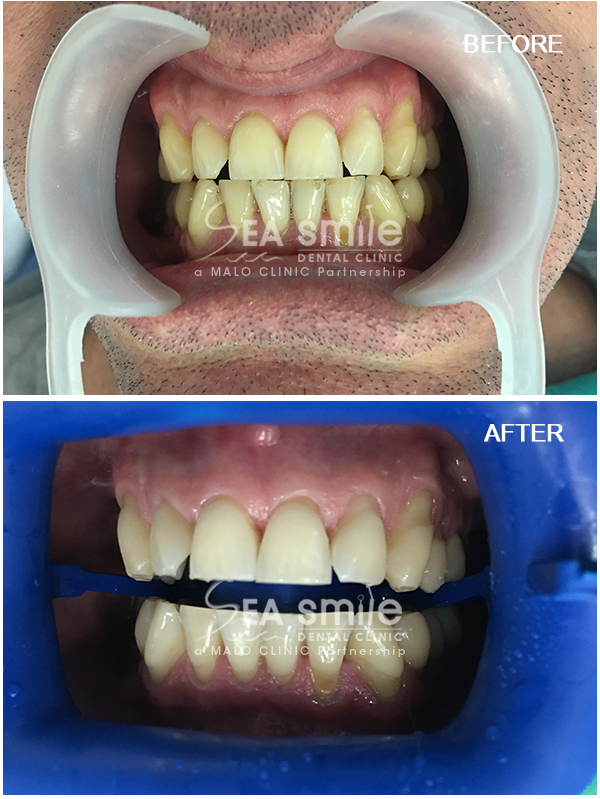 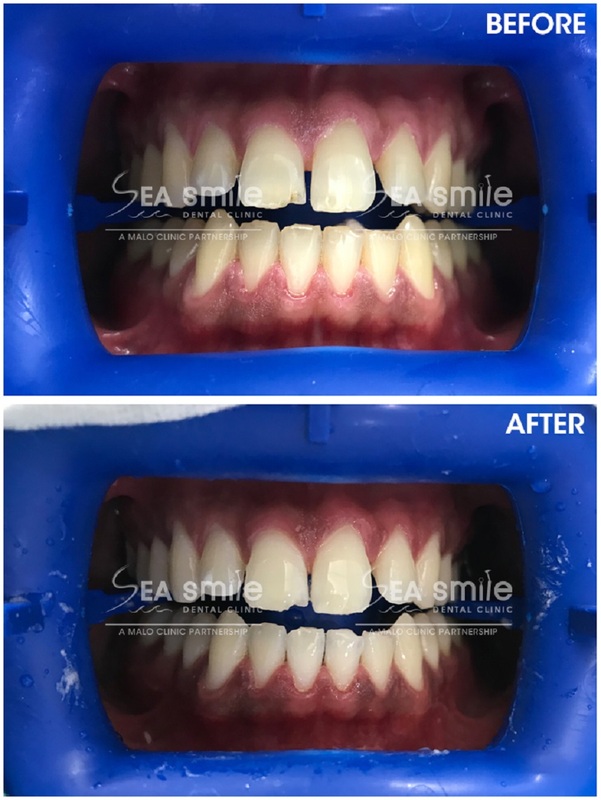 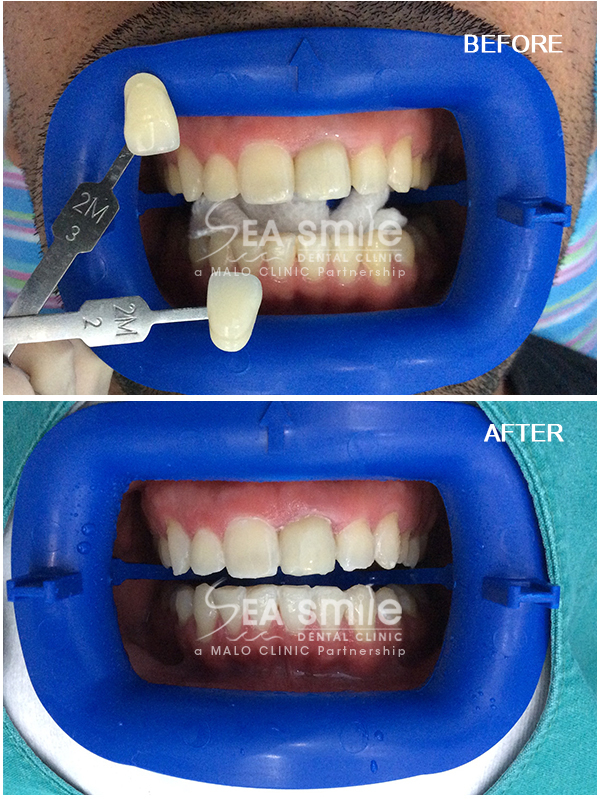 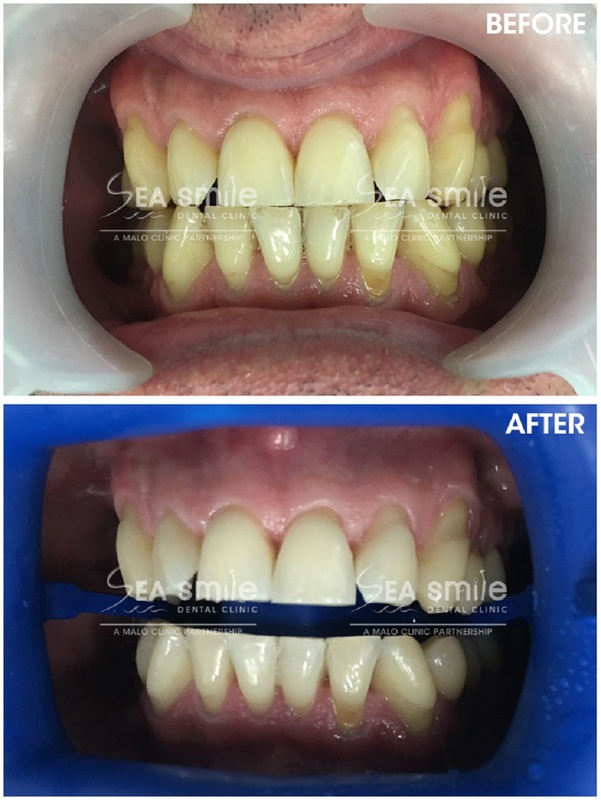 In our dental clinics, we have treated more than 900 laser whitening cases, so we could guarantee our skills and experience on this treatment.